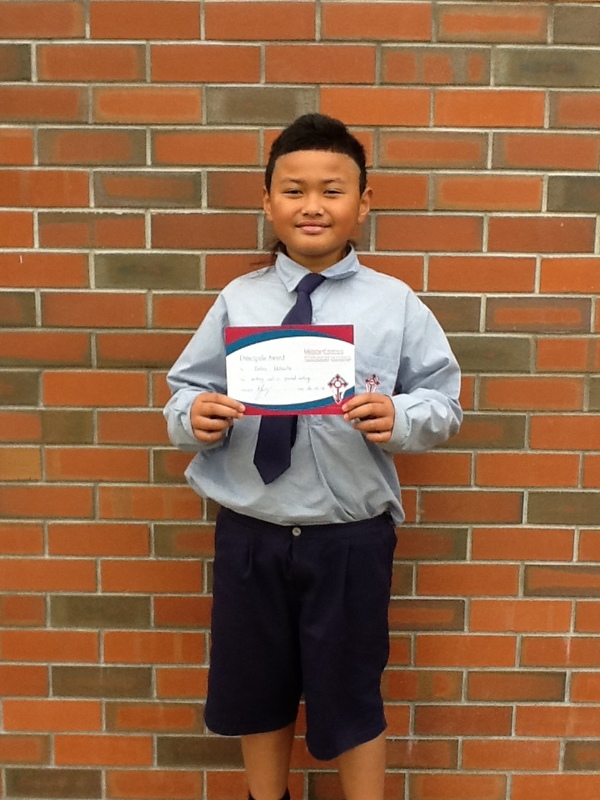 And the Week 4 Principal Awards go to…. 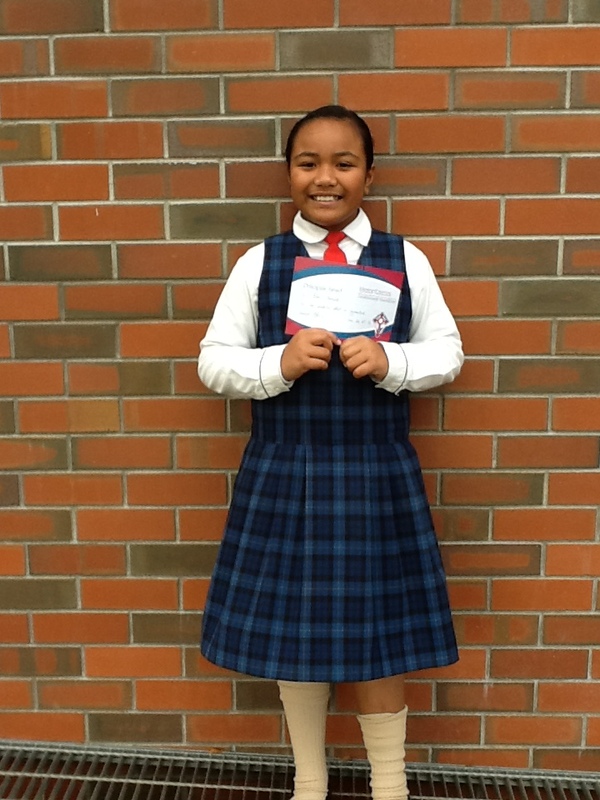 Monette Macdonald for improving 3 levels in reading comprehension and passing Level 36. Eneliko Vaotu’ua for improving 2 levels in reading comprehension. 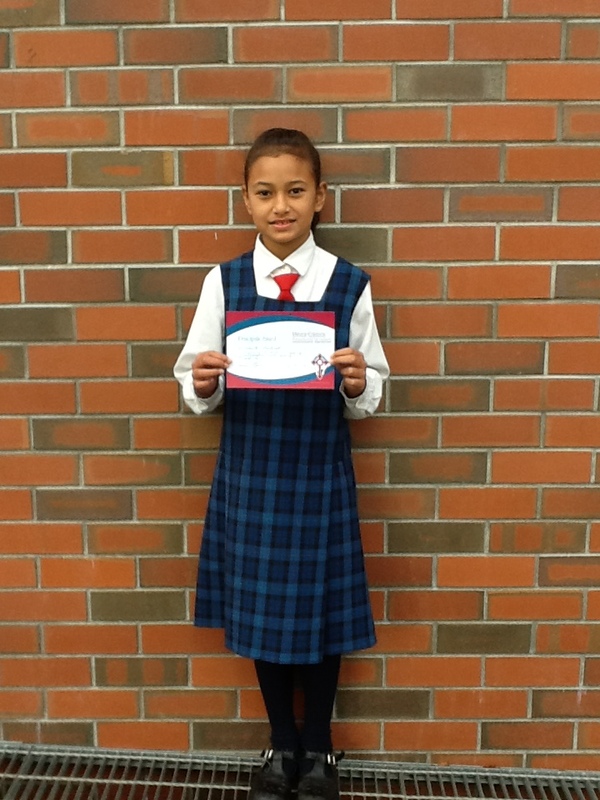 Eleni Motuliki for her wonderful effort in gymnastics. 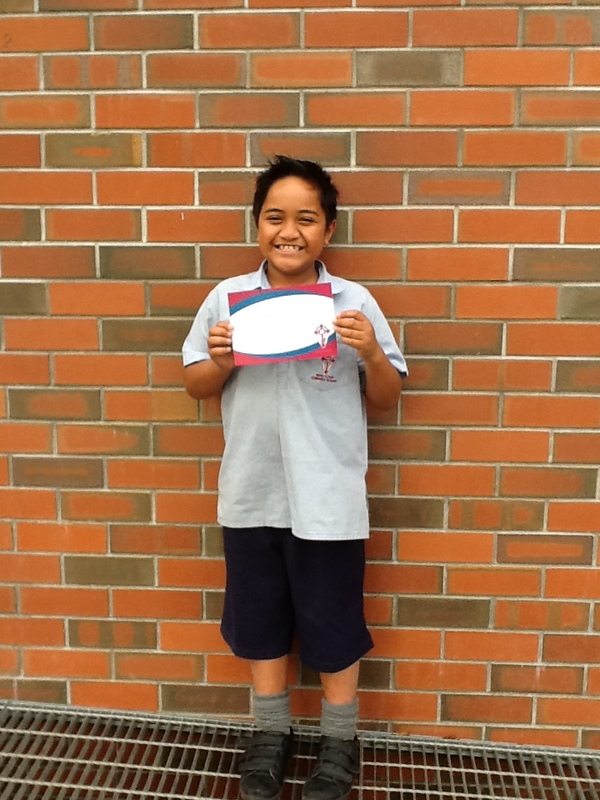 Dallas Matautia for working well in Paired Writing. 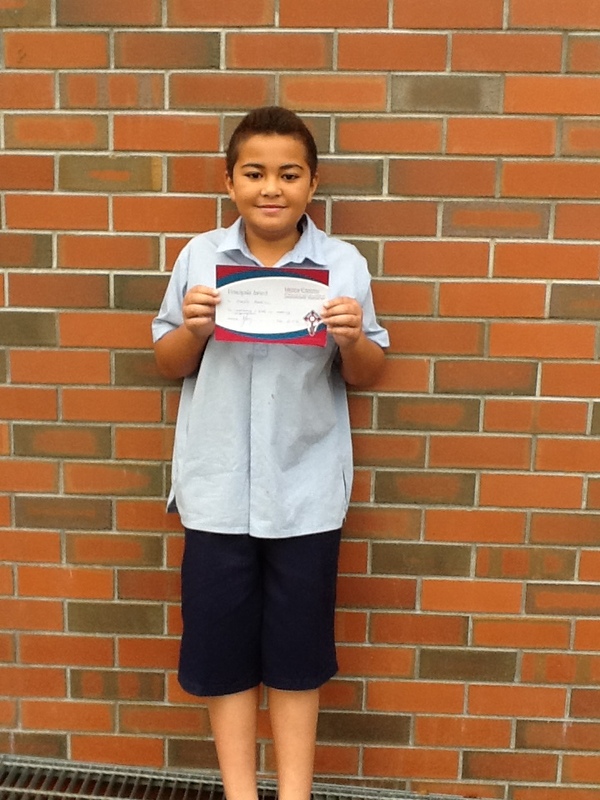 Tauna Schmidt-Vaipuna for working co-operatively in his maths group by sharing his multiplication strategies. 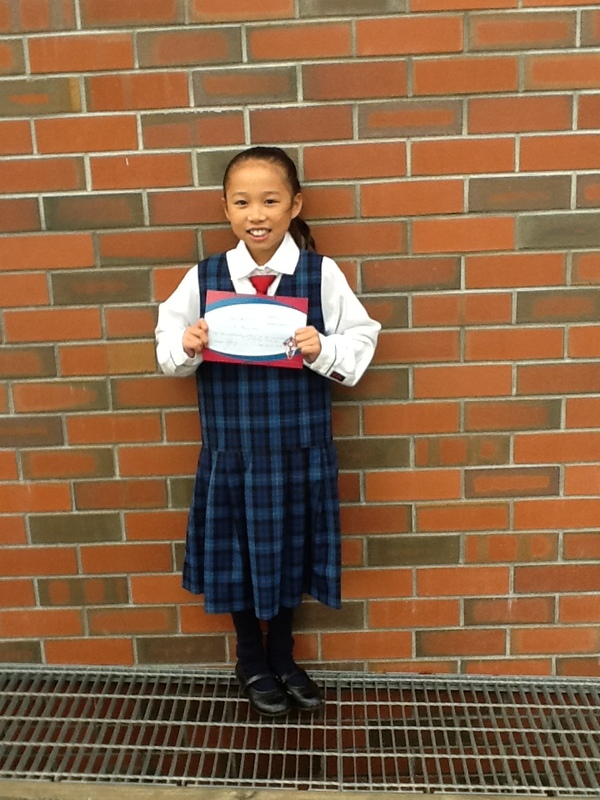 Daniella Manansala for her outstanding effort on her narratives in written language.